As part of our World Cup coverage, we have interviewed journalists, correspondents, experts & writers representing each of the 32 countries to give you, the readers, a better understanding of the 32 nations participating in the 2014 FIFA World Cup. Here are the list of interviewees. 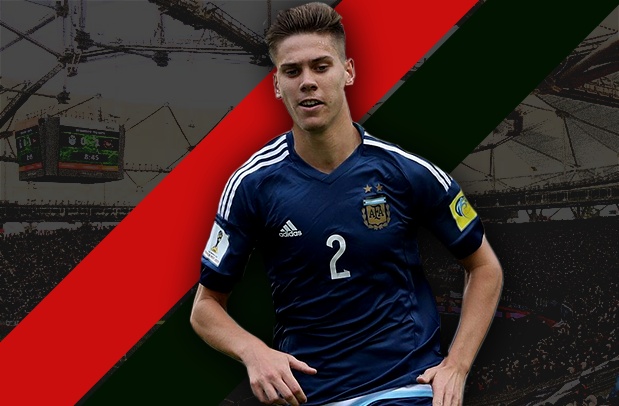 For this interview, focusing on Argentina, we spoke to Rupert Fryer. He is the co-founder of SouthAmericanFootball.co.uk, editor of Goal’s Brasil Global Tour while his work can also be found on the likes of the Guardian, ESPN, Fox Soccer, the Blizzard and more. Follow him on Twitter @Rupert_Fryer. Is this one of the strongest attacks we’ve seen of Argentina’s in recent memory? How exactly are they expected to line-up in the attacking third? 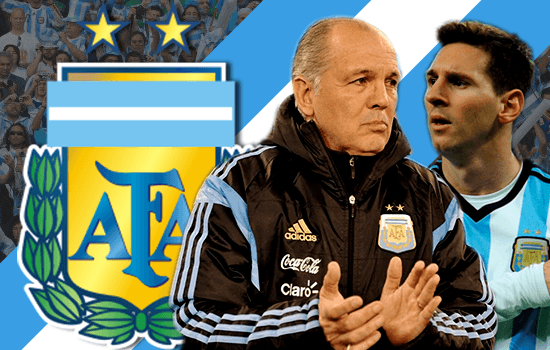 The appointment of coach Alejandro Sabella resulted in Lionel Messi finally reproducing his club form for his country. He scored 12 goals in Sabella’s first full year as coach – equalling Gabriel Batistuta’s record tally for strikes in a calendar year. The Barcelona man will play from the right, with Gonzalo Higuain as the focal point through the middle and Sergio Aguero roaming from the left. The form Fernando Gago in midfield was key to getting the best out of Messi, with his intelligent forward passes penetrating opposition lines and allowing Messi to receive the ball on the front foot. Gago’s injury is a concern for Sabella, but the partnership between Messi and his close friend Sergio Aguero could be devastating in Brazil. Although Tevez didn’t feature for Argentina in the qualifiers, and his earlier issues with the national team, his performances with Juventus surely merited a place on the plane to Brazil. Do you think it’s fair he hasn’t been picked by Sabella? Or could this prove to be a decision Argentina regret? The key to selecting squads for International tournaments is picking the best group, not the best players available. Tevez hasn’t featured for Argentina since 2011 and his exclusion coincided with a dramatic improvement on the field. The Juventus striker has had a fantastic season but has long been seen as a divisive force in the squad – he had also been under performing for Argentina for some time before being banished from the group by Sabella. He remains a popular figure, however, just today an Argentine friend of mine, Cesi, greeted a totally unrelated question about Sabella by telling me “he should have taken Carlitos.” However, his exclusion comes as no surprise whatsoever and is surely the best thing for the group as a whole. 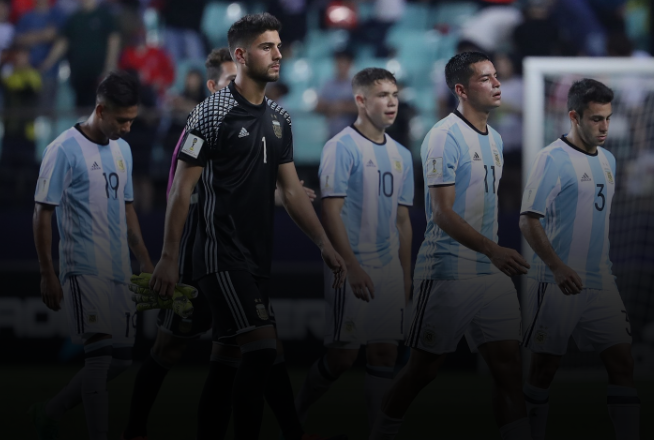 Argentina’s attack certainly saw them through to the World Cup, but there are clear defensive frailties. Even the midfielders don’t offer enough in terms of providing cover, especially with the full-backs moving forward too. What does Sabella need to do to ensure this isn’t a factor? Sabella certainly has concerns about his backline. Despite qualifying with the second best defensive record on the continent, Argentina remain vulnerable in the full-back positions. Pablo Zabaleta has done well in an Argentina shirt but is often given little support by the midfield ahead of him; left-back is a real problem position. The central defensive partnership of Ezequial Garay and Federico Fernandez has improved, but Argentina has suffered from a lack of quality in defensive positions for some time now. The fact that goalkeeper Sergio Romero has hardly kicked a ball for Monaco this season is also a cause for concern. The record of South American teams at a World Cup hosted in the continent is apparent. Can this really prove to be a factor? Everyone wants to feel at home. The changes in temperature and climate, coupled with the wonders of modern travel, mean home continent advantage likely won’t play as big a role as it may have done in the past, but the South Americans remain confident of besting the majority of their European opposition. Alejandro Sabella has done a remarkable job with the national team in his time in charge. Although his record is good, he lacks in experience. He’ll be facing non-South American sides in competitive football for the first time. Could this become a problem at the World Cup? Sabella has done extremely well since making the step up from Daniel Passarella’s assistant and has World Cup experience, if not as a head coach. He ushered in Estudiantes’ most successful period in 40 years when he made his managerial debut in 2009, leading the club to a Copa Libertadores and an Argentine league title before succeeding Sergio Batista as Argentina coach. He has also won over the local media by getting more out of Messi. And he may not have been doing it for very long, but he is yet to fail as a coach – that may be a plus or a minus. We at Outside of the Boot track the progress of youngsters under our Talent Radar feature. Argentina haven’t named anyone that is young enough to qualify for the feature, but are you surprised that the likes of Mauro Icardi & Gino Peruzzi who’ve had commendable seasons, haven’t been named even in the provisional squad? Not hugely. Icardi, perhaps, though Sabella did have a look at him. Gino Peruzzi’s career seems to have lost momentum since his move to Italy, which is a shame since he had done well in the past – particularly in a couple of games where he found himself up against Neymar. 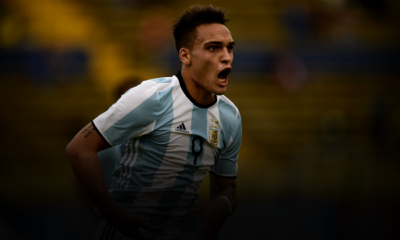 Argentina have a pretty straightforward group and should be expected to progress comfortably. The World Cup format also suggests that the dream South American clash can be witnessed in the final. Where do you expect Argentina to advance till? What would be the minimum expectations from the supporters? They will be disappointed with anything less than a semi-final place. The draw has been very kind to Argentina, both logistically in terms of travel and in the potential opposition they may face. Everyone is dreaming of a Brazil – Argentina final. Wouldn’t that be a special way to end a trophy drought at senior level that now dates all the way back to Copa America 1993? Read all our World Cup Interviews here, and all other WC2014 related content here.